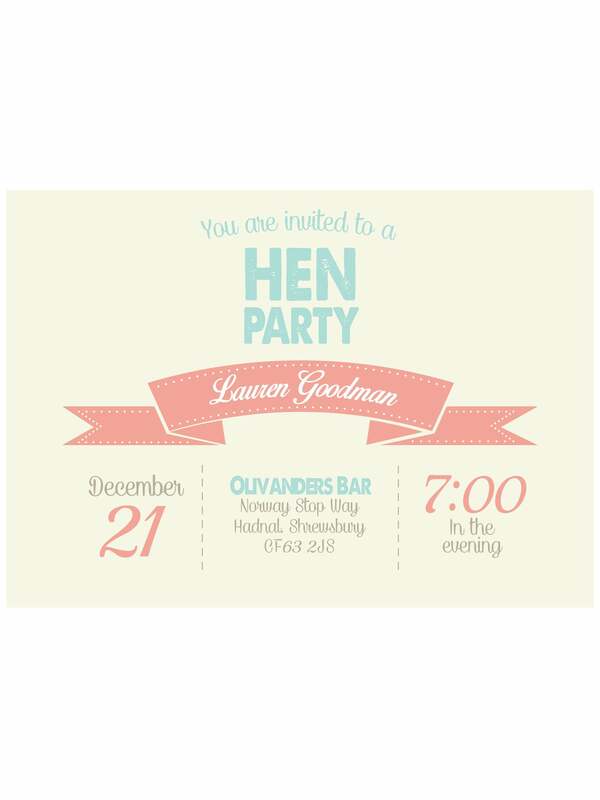 If you like pastel colours and cute vintage themes, you will love this ribbon design hen party invitation. This design can be personalised to include your name, location, and the date of your hen party. All you need to do is send your details, and place your order. We will then amend the invitation and send it to your inbox.